Standard Next day UK delivery is for all orders processed by 2pm. Goods are normally delivered between 9am – 5pm Monday to Friday, excluding public holidays. Some of our carriers may deliver slightly earlier or later. 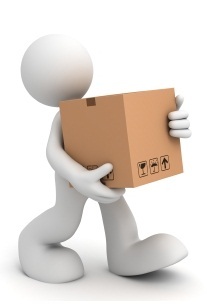 Please contact us to find out if we are able to deliver to your postcode. If you require a specific timed delivery, AM or Saturday delivery, please contact us as we can normally arrange this for a small surcharge. For customers who wish to hire or buy large quantities of units (4+), we can normally deliver at much more favourable rates as we benefit from economies of scale which we can pass on to you. Again please contact us for quantity purchases. It is essential that someone is available at the delivery address to sign for the consignment. If there is no-one in when we delivery, each time an attempt is made, our courier will leave a card at the delivery address confirming they have tried to deliver. Please follow the instructions on the card to rearrange delivery or collect your order. A surcharge may be incurred for every failed delivery. We deliver to most postal areas in the UK, but due to geographical location, this can restrict our service. We may not always be able to deliver certain products to Northern Ireland, the Channel Islands, Isles of Scilly and Isle of Man, Scottish Highlands, islands and other remote areas. If you would like more information on delivery availability and any restricted postcodes please contact us on 0208 207 2455 or 01695 725521. Please note that we reserve the right not to deliver orders if we believe the address is not secure or of fraudulent nature. We can only deliver to either the registered credit card address or a work address - not another residential address. If this affects an order you place, we'll notify you as soon as possible. We’re happy for someone else to collect your order, but to prevent fraud the person you have nominated must present your order number and their photo ID (passport or photo driving licence.